Awhile back, I choked on a piece of beef stew. It happened as these things usually do: One minute I was happily sitting in a Dominican restaurant down the block having a “business lunch” with a friend, and the next I couldn’t breathe. This was not ideal. I calmly got up, found a glass of water, and chugged half of it, but that didn’t solve the problem. My friend, now concerned, asked if I was choking. I nodded. He gave me a look that was equal parts “uh oh” and “this is going to be so embarrassing,” then proceeded to give me what he thought was the Heimlich maneuver while the rest of the restaurant’s patrons looked on in confusion. After five or six chest compressions, the hunk dislodged, and I rejoined the land of the breathing. I asked Davis to provide me with basic facts about the incident: the date, the name of his friend, and the name of the restaurant. To paraphrase Jake Gittes, the private eye played by Jack Nicholson in the film Chinatown, Davis's response runs contrary to my experience -- and perhaps to common sense. Based on my decade of research into my father's career and "the Heimlich," when people are involved in choking rescues, they can't wait to share the details. For example, in media reports that turn up almost daily, when someone steps in to help a choking victim, not surprisingly, they're showered with gratitude and praise for possibly having helped save someone's life. And I don't know about you, but if I thought my life may have been saved by a friend or a stranger, I'd shout their name from the rooftops. 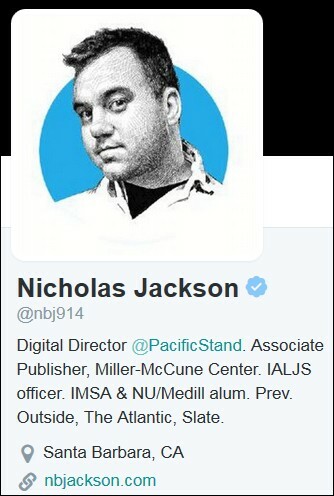 So I brought my questions to Davis's editor, Nicholas Jackson. Mr. Heimlich, again thanks for your continued attention to the story. But I don't want Nick or Noah releasing that information to you. The friend was unnamed and so was the restaurant. And we are going to leave it that way. Thank you again. But let's call this matter complete now. I then asked if she or Jackson had verified any of the facts with Mr. Davis. We have very clear fact checking processes for our print and web authors. Again, I appreciate your interest but we have piles of work we have to get to. We won't be answering any other emails. Are reporters and editors obliged to provide substantiating facts to readers? But based on my experience, good journalists do so for at least two reasons. First, they take pride in their work and therefore are quick to back up their reporting. Second, and more importantly, when journalists refuse to provide reasonable information to readers, it can create the appearance that they may have fabricated information. For example, did Davis make up his own choking rescue to add some zip to an article he was writing about my father? I don't know because he and his editors refuse to provide any substantiating facts. By failing to do so, they created doubt about the event. To quote Evelyn Mulwray, Chinatown's star-crossed heiress played by Faye Dunaway, "Understand? Or is it too tough for you?" If that slope's not slippery enough, Streshinsky's non-response even managed to put the credibility of her publication up for grabs. That is, by refusing to provide basic facts about the claimed incident -- not even the date or the name of the restaurant? -- she made it clear that she expects Pacific Standard readers to accept the veracity of information published in her magazine not on evidence, but on faith. This from a purported science magazine? The current online version of Davis's Pacific Standard article isn't the original. Shortly after it was published, I caught a handful of factual errors and brought them to Jackson's attention. À la Winston Smith, he quickly rewrote the article, disappeared the errors, and failed to inform readers.